Thanks for taking the time to peruse the quotes and reviews that are coming in — we’re pretty honored and thrilled about it. And a special shout-out to my Bloomsbury editor, Kathy Belden, for her fantastic work on this book (and The Lemon Tree, too). 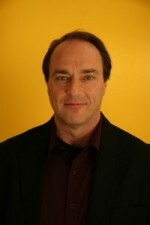 Meantime, it would be great if you could like my author page. Hope to see you on the road! More here, or click through for a book description and comments from Yo-Yo Ma and others. Somewhere amidst the separation barriers and the countless checkpoints, the refugee camps and the demolished homes, the fruitless negotiations and endless conflict, there is a people yearning for a life of dignity and normalcy. You won’t see them on TV or in many newspapers. 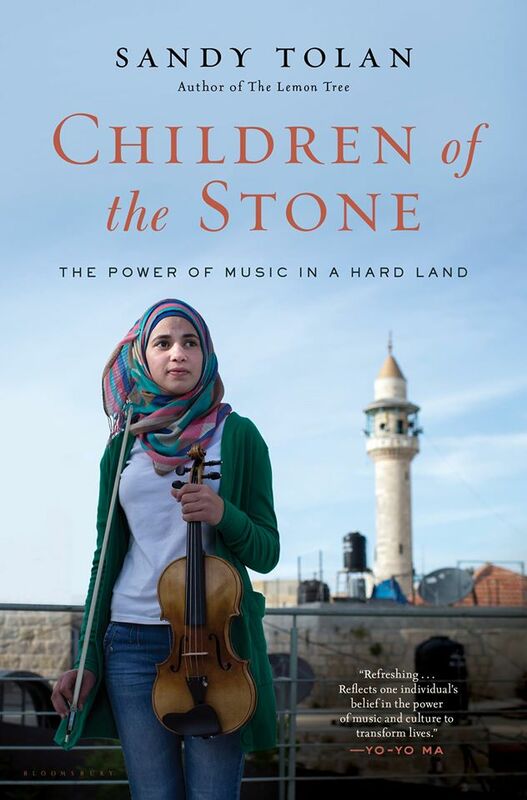 But you will find them in Children of the Stone, Sandy Tolan’s moving account of the dispossessed children of Palestine, and the transformative power that music has had in giving them meaning and reason for hope. Children of the Stone is alive with compassion, hope and great inspiration. It is not necessary to believe in music’s power to defeat evil in order to be enchanted by this wonderful story. Sandy Tolan, author of the celebrated Lemon Tree, has produced another gem on what is happening under the surface in Palestine. This time the theme is the the liberating potential of music. The book contains enthralling biographical trajectories of ordinary people fighting against the odds, like Ramzi the violist, Suhail the musical composer, Mariam the singer, Alá the aspiring violin student, Suraida the activist, who use music as an instrument of resistance and survival under military rule. Written in the style of investigative journalism, the book is riveting and uplifting, without skirting issues of contestation and controversy. - Salim Tamari, Professor of Sociology, Bir Zeit University (West Bank) and author of Year of the Locust: An Soldier’s Diary and the Erasure of Palestine’s Ottoman Past. Sandy Tolan’s narrative artistry fuses the coming of age of a talented, ambitious, and fiercely dedicated musician with the story of Israel’s occupation of the Palestinian territories conquered in 1967. Ramzi Aburedwan’s music is powerful – even more so when we understand it as a form of resistance to occupation. Humanizing Ramzi and other Palestinians by portraying them primarily as musicians working in a universal idiom is a major contribution to our understanding of who they are and essential to a political resolution of the conflict. A resolute, heart-rending story of real change and possibility in the Palestinian-Israeli impasse. Eye-opening…Tolan’s exhaustive research and journalistic attention to detail shine through every page of this sweeping chronicle.